My daughter is a huge fan of broccoli. I usually make broccoli stir fry, so decided to try something different and made broccoli pakoras today. I didn't make them for snack though. 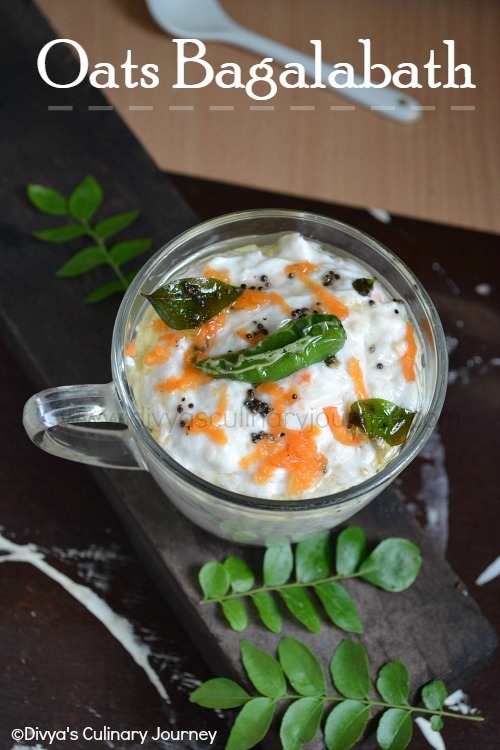 I made them for lunch to accompany spinach moong dhal. This dhal and pakora combination really worked well. Then mix the broccoli florets in this batter, such that all the florets are covered well with batter on all sides. Heat oil in a skillet and deep fry them in batches till they turn golden brown. Remove them and drain them in paper towel and serve them. Pakoras looks nice and crispy!!! When it is raining..nothing better than pakoras and a hot cup of tea..
Crispy and tempting broccoli pakoras here..ready to be eaten..
Really ?? Your daughter is a huge fan of Broccoli, heard it first time :D .. Lucky Mom !! They look as cozy as duvet in the rain .. I love pakoras look so yummy - in NY too we have been getting so much rain!!! 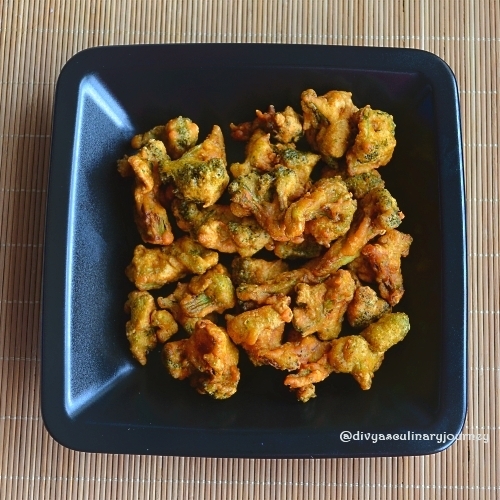 i love broccoli pakoda.. my mom makes it often.. tastes yummy with tomato-chili sauce.. 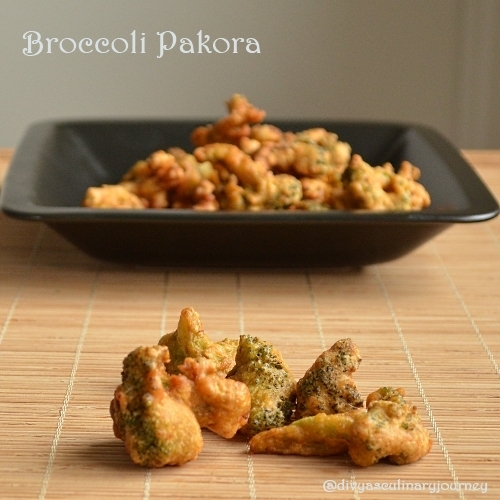 Crisp and healthy pakora.love this broccoli variation! 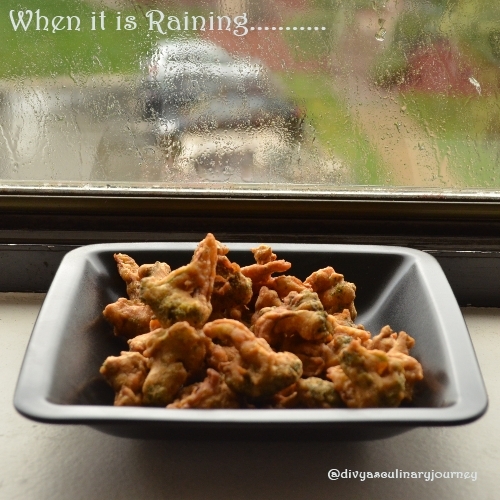 Love this crispy pakoras...nothing can beat hot cup of coffee/tea with crispy pakoras during rainy days :)Awesome clicks!!! Wat an incredible way to sneak this healthy veggies..beautifully done. my kids would totally eat this. looks yummy! My Kiddo's Favorite!!! I made these yesterday too!!!! Looks real yum!!!! Nice,innovative pakora..the second picture is lovely..
Lovely Pakoda! I am feeling hungry looking at the crunchy snack! super idea using broccoli for pakodi!